Research analysts have gained significant attention over the years for their predictions of Apple's production plans, with "channel checks" frequently being cited as the basis for their assessments. These checks involve receiving information, often secondhand, from representatives of Apple's manufacturing partners. 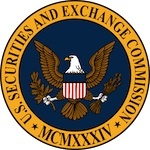 The Wall Street Journal reports, however, that the U.S. Securities and Exchange Commission (SEC) is now investigating the legality of such channel checks, looking to determine whether some of the tactics amount to insider trading as the analysts share the non-public information with their clients. Where once insider-trading cases were built around a single tip about a merger, for example, prosecutors appear to be broadening into new territory. They are examining how arcane, confidential, but presumably routine data may move company stocks. "Insider trading basically comes down to where you know or ought to know that the person from whom you're getting this information has a duty to someone else to keep it confidential," said former Securities and Exchange Commission Paul Atkins in a video interview with The Wall Street Journal. "If you go in and pay the mail clerk to give you special information, that's not proper." While the investigation appears to be a broad look at a number of small research firms, the report focuses on those digging up information on Apple, which has become a prime target due to its financial performance, stock growth, and the company's secrecy about its own plans. Analysts relay the information - known in the business as "build plans" - weekly to savvy technology investors, who often dart in and out of heavily-traded Apple shares. Such information has grown to be almost as important as Apple earnings, able to move shares throughout the quarter. The SEC is also taking a look at "expert network" consultants, who seek to connect investors with employees of certain companies for a fee, and whether those consultants have shared inside information to their clients. No analysts or consultants have yet been charged with any wrongdoing, but the SEC is clearly interested in learning more about their tactics and business practices. Update: CNBC reports that the FBI has arrested "expert network" employee Don Chu in connection with the broader investigation. Chu, an analyst for Primary Global Research, does not appear to have been directly connected to research on Apple.